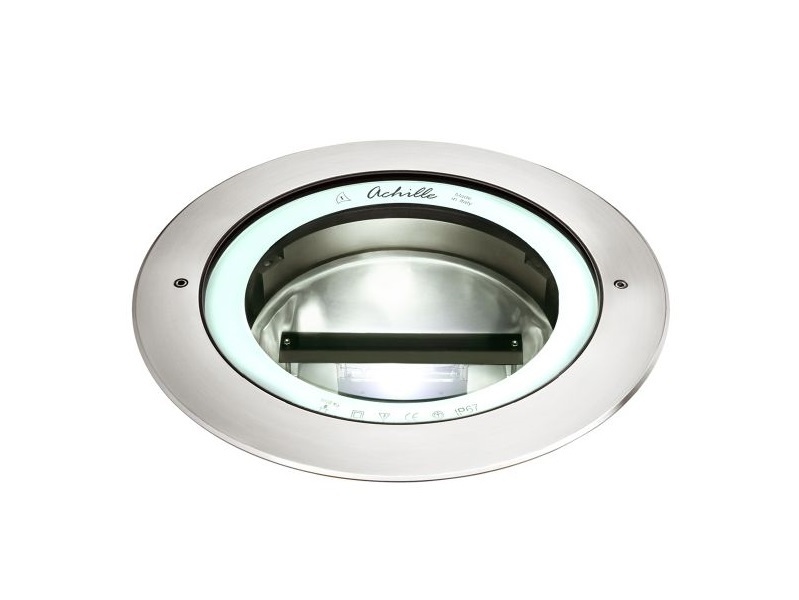 Achille 450 is a recessed uplight, flush with the ground for metal halide lamps. 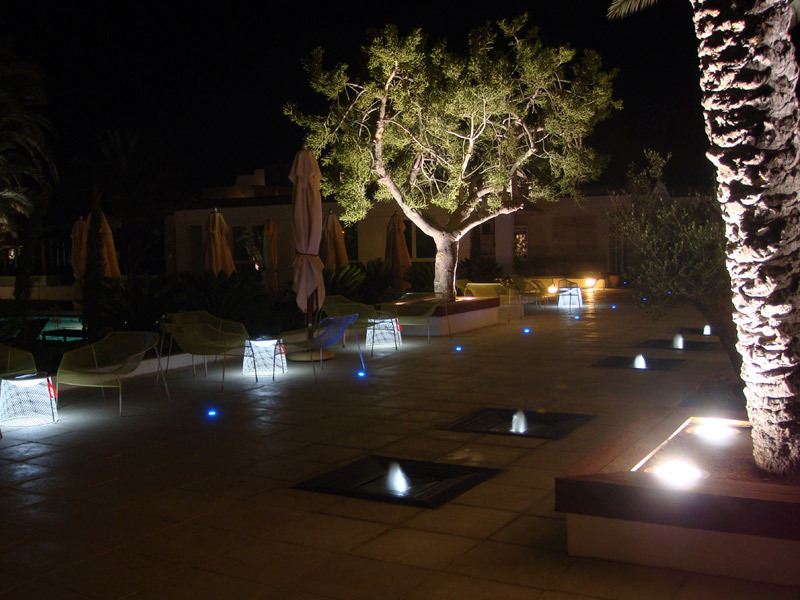 It is ideal for the illumination of façades of buildings, monuments and gardens. 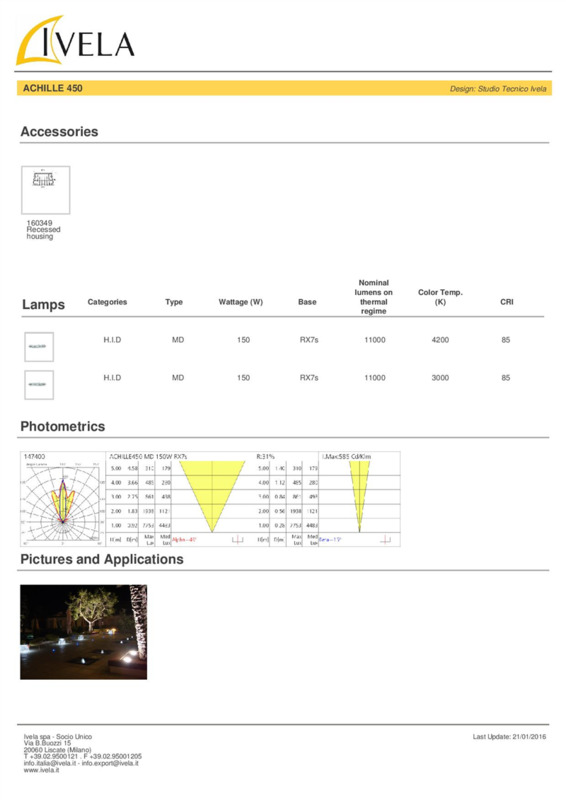 The optics are symmetrical and adjustable +/- 15°, or asymmetrical and fixed. Suitable for vehicles and pedestrian traffic, it is designed with materials that preserve it from the aggression of oxidizing agents, and it is therefore reliable over time and suitable for outdoor applications, even in very severe weather conditions. 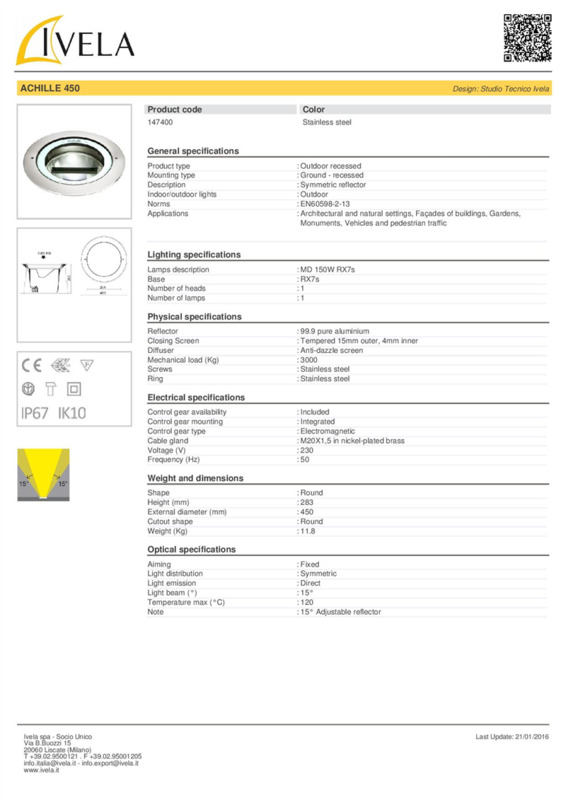 Protection rating IP67 and IK10.